If you are new to the church, or have never made a pledge to the church before, this column is for you. Because the church “stewardship campaign” can be intimidating. You might wonder why we spend a couple of weeks talking about money so much. You should think of it like a public radio pledge drive. It can be annoying to have NPR’s Morning Edition interrupted by pledge requests; and I don’t like hearing about pledges in the middle of This American Life, either. But it’s better than the alternative! And we’re not selling anything. If you haven’t heard me say it before, the grace of God is free. That’s the whole point — God’s love is freely given, freely received. We have nothing to sell, and we’re not planning to operate as if we do! So the primary way the church funds its ministries is through asking people to pledge, just like the radio station. You could call it “crowdfunding.” In other words, we ask our members, friends, and visitors to help us do what we do. We always go through a budget process to plan for the coming calendar year, and attempt to finalize it before the end of the preceding year. The budget includes all the necessary items, such as property maintenance, utilities, office supplies, program materials, and, of course, personnel. Plus, we include strategic pieces and new missions that we would like to initiate. A key part of the budget process is assessing how much income we can expect to generate in the coming year. That’s why we ask members to pledge. We need to know how much you all expect to give, so that we can plan our ministries and pass our budget. Every year around the month of October, then, we spend a few weeks asking you to make your pledge. We accumulate the pledges and fine-tune our budget based on the total pledged amount. This is why pledging is important to the church; it is the way in which church leadership assesses how to proceed. But a church pledge is only that — a pledge. It’s a matter between you and God ultimately. It’s not a contractual agreement. And we’re not going to send a bill collector after you. We will send you a quarterly giving statement, which will let you know how much you have paid on your pledge year-to-date. But we won’t keep bugging you about it, like a public radio station might. We can also make giving to the church an easy matter. On our website, you can make your pledge an automatic monthly or weekly payment. Just follow this link to automate your giving. So far, I’ve described the pledge campaign in a purely functional and practical fashion — we’ve got to pay the bills, and this is how we do it. As your pastor, I need to let you know that giving is about far more than just making financial donations. When you give to your church, you are not merely helping pay bills, pay the pastor, or even fund a particular mission of the church; you are literally performing an act of service to God. When you give to the church, you are giving to God, and you are giving to God’s mission in the world. One of the most common images found in the Bible to describe the church is “the body of Christ.” Christ is still present in the world, but he is incarnated in the church; he lives and moves and has his being, in us! That’s not mere hyperbole, either. There is something very real about the concept that Jesus is alive and working through us. It’s not really like making a pledge to a public radio station at all, in the end. For one, we don't give away tote bags ... 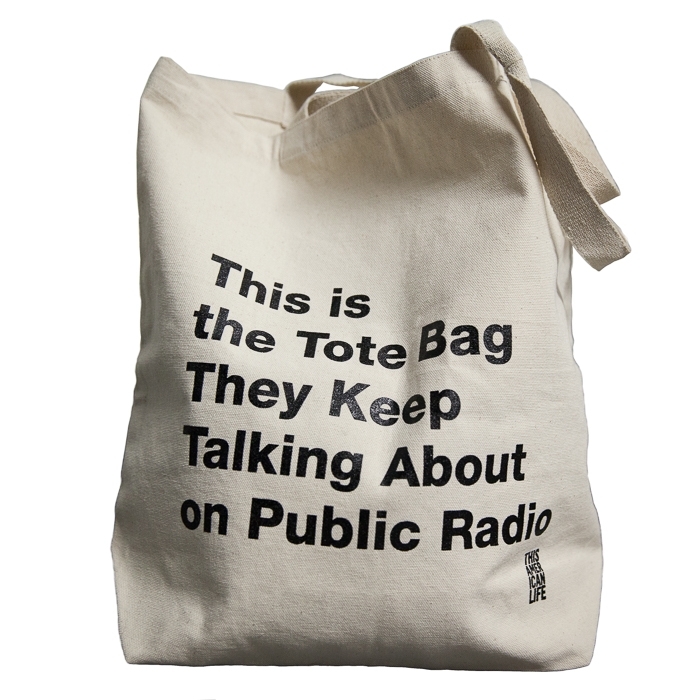 I love public radio, and I think everyone should support it. But Kessler Park UMC has a greater mission to undertake, and a greater God to serve. So I hope you will consider making a pledge for the first time. Let’s kickstart God’s work by Kickstarting KPUMC! There’s a saying among pastors that you can’t get from Palm Sunday to Easter without going through Good Friday. Believe me, there is a tendency among many American churches to jump from the parade-like quality of Palm Sunday straight to the glory of Easter morning, without ever delving into the messiness and horror of what actually happened that last week of Jesus’ life. We tend to be very uncomfortable with the blood and suffering; not only does Holy Week veer mightily close to our own pain, but it forces us to look upon a Jesus who was betrayed, battered, beaten, and executed. No thanks, we tend to say. We’d rather imagine a resurrected, bright and shiny Jesus. We like winners! But I don’t think the story of Jesus Christ has any power at all unless it is true that he experienced so much suffering. The entire point of the resurrection is that evil does not have the last word in our world, despite the enormous amount of evil that exists in the world. A Jesus who did not face his own personal terror would have nothing hopeful to offer the people of the world who are terrorized by the threat of nuclear weapons. A Jesus who was not whipped and beaten would have nothing meaningful to say to a Congolese woman who was raped by rebel militiamen. A Jesus who did not die on a cross would mean absolutely nothing to a Syrian refugee whose father and three children had been killed by sarin gas. This is not to say that Jesus’ suffering was unique; his pain was not any greater than any other. Instead, it was representative. It marks him as human, like the rest of us. He was one of us, a member of our race, a participant in our plight. And what God did through Jesus was to herald a coming age in which humanity would be saved from the plight and plague of evil and wickedness. In God’s reign, tragedy will be transformed into beauty. Jesus’ death and resurrection are a kind of parable of what God is doing in the world — even today. Frankly, the only way to encounter the fullness of Easter is to become immersed in all the events of Holy Week, to get in touch with Jesus’ suffering, as difficult as it might be. That’s the reason we gather on Maundy Thursday and Good Friday for worship. We hear the rest of the story, the part that happens in-between Palm Sunday and Easter Sunday. Another way to experience that part of the story is to walk the Stations of the Cross, which are now open and available in the sanctuary at Kessler Park UMC. The Stations of the Cross are an ancient spiritual practice of the Christian church, meant to imitate the journeys of early Christian pilgrims to the Holy Land, who retraced Jesus’ final steps on the way to Calvary. There are fourteen stations, scattered throughout the sanctuary; each one represents a different moment in Jesus’ suffering and death. A booklet guides you to each station and offers a Scripture reading, reflection, question, and prayer. You are welcome to linger at each station as long as you like, and meditate on what it all means to you. These words would mean nothing at all if Jesus said them on the back of the donkey while entering Jerusalem; likewise, if he’d said them on his deathbed at a ripe old age, they would ring hollow and trite. Instead, the fact that he said it while he was hanging on the cross gives the phrase a force that challenges all the world’s evil. At that moment, Jesus truly overcame the horror of humanity’s inhumanity. Jesus refused to be sucked into the cycle of vengeful violence and hate, and chose to forgive. The Stations of the Cross will be open for visitors on Thursday and Friday from 8:30 am to 9 pm, and on Saturday from 10 am to 1 pm.